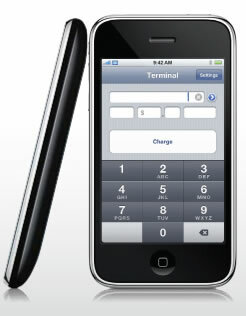 Utilize your iPhone as a virtual terminal for processing credit cards wirelessly. With a typical wireless merchant account, there is a monthly fee for the wireless service. Since you have an iPhone with wireless connectivity, you can avoid the additional fees and turn your iPhone into your wireless credit card processing terminal. Get started by calling Service Related today. We will assist you with your iPhone virtual terminal application setup (free of charge) and have you processing wireless credit card transactions wherever you are. Call 1-888-445-6447 and let our representative know that you want to process credit cards using your iPhone today!